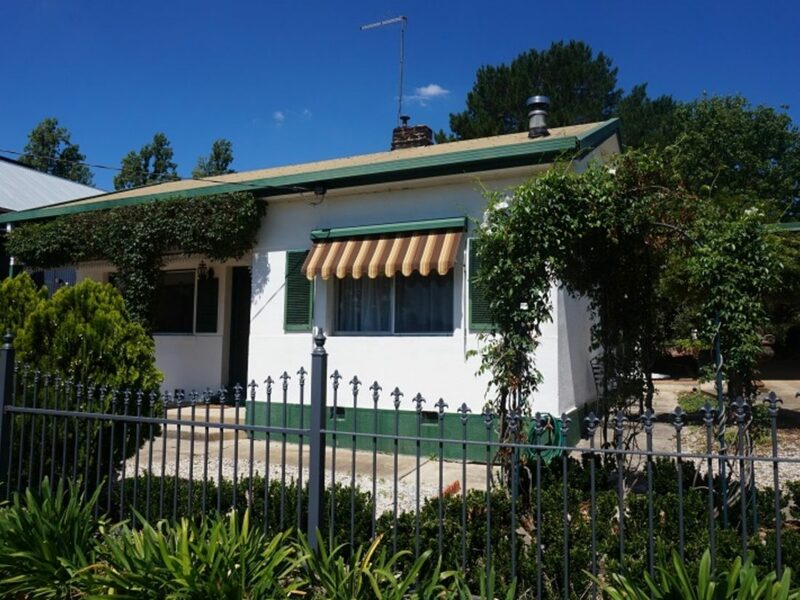 A delightful cottage located in the Gorge precinct with easy access to the shops and restaurants of historic Beechworth. The cottage is period style, with two bedrooms and a large recently updated kitchen with gas cooking and central bathroom. Enjoy a cosy wood fire in the lounge during the cooler months, while the warmer months can be spent relaxing in the tranquil garden setting. The property also has reverse cycle split system heating and cooling. Located in a quiet street, yet just a short walk to the vibrant town centre, this is the perfect holiday location. Linen provided for the trundles if required, please advise at the time of booking. Please note there are a few steps to the bedrooms. Convenient front load washing machine. Nespresso machine and coffee and tea supplies are provided for guests. The updated bathroom includes toiletries for your convenience and a hair dryer. All linen is provided. Earlier check-in available on request, subject to availability. Public holiday rates and minimum nights apply. Rosewood Cottage has two rooms. Bedroom one has a queen bed and bedroom two has two single trundles. Perfect for a family of four.